I don’t care what anyone says, there’s something really classic about overalls. They’re no longer just reserved for toddlers and farmers (though I won’t deny that the style serves a more functional purpose for them.) 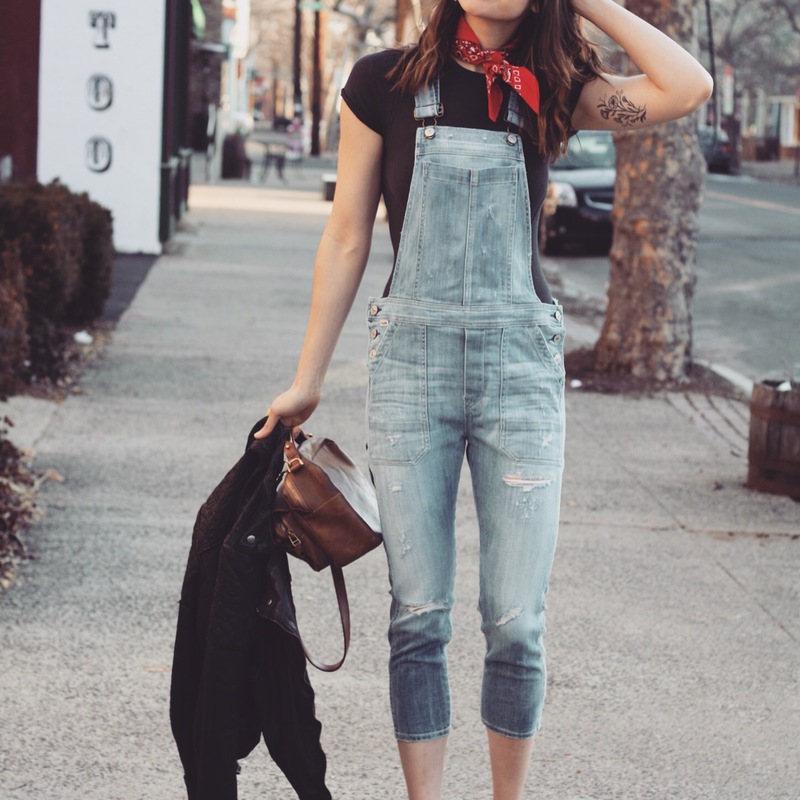 I may not be lifting hay bales while rocking my overalls, but they’re exactly what I need for a fun and casual outfit with very little work. The key for me when looking for the perfect pair of overalls was to find a pair with plenty of torso space, a casual light wash (distressing would be a plus), and a really soft, flexible denim. There’s something very off-putting about rigid denim overalls. So, with these qualities in mind, I searched high and low for the perfect pair. Boy, did I find them. I found these Citizens of Humanity overalls at Anthropologie. True to form, I fell in love with this pair prior to actually looking at the price tag. I have this ability to choose the most expensive item in a store. I suppose that’s not too hard to do at Anthropologie, but I also tend to do this at discounted stores like Marshalls and TJ Maxx- I always end up holding the one item that’s over $200. I needed these overalls, though. NEEDED THEM! And now I’m wearing them, so my story ends here. They’re worth every penny.